The Wisconsin Historical Society Speakers Bureau offers an exciting opportunity for our historians, curators and authors to visit your community and share the stories of our great state. A picture is worth 1,000 words, but often those words are difficult to read. Join us on August 3, 2019, when Simone Munson will present on tips and tools for photo identification. Her presentation will provide a brief history of photographic formats and then a deeper examination of resources, tools, and strategies for dating and identifying photographs. If you have inherited a large collection of unidentified family photographs this presentation will provide important information for tackling this daunting project. 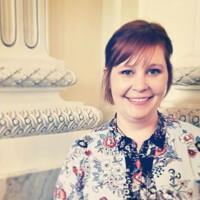 Simone Munson is an archivist and librarian at the Wisconsin Historical Society and has worked closely with the Society's photographic collections for more than 10 years.